Disney World greatly increases snack prices! 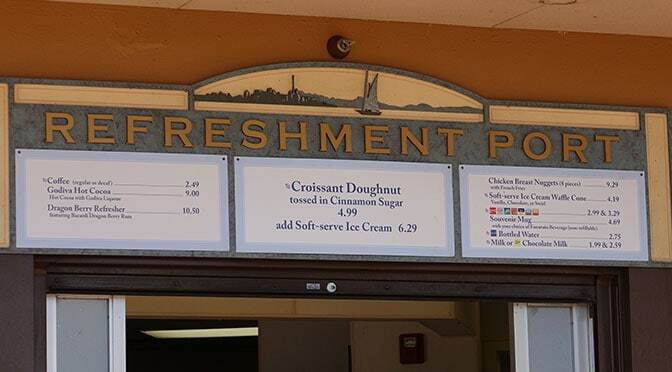 Ahead of upcoming Cast Member raises, Walt Disney World has just increased the cost of a number of snacks across the property. A number of novelties, snacks and drinks have already seen a considerable cost increase. There should be other menu cost adjustments coming soon as well. The thing about these concerns is that seem to be either semi-avoidable or not unexpected. Its redundant, but you CAN bring food into the parks, so a regular guest can have the snack portion of their day taken care of. The price of food is no different than they would be at a sporting event or an airport. The cost of a ticket does not entitle anyone to have a “cheap” dollar amount for this optional item (this comment at snacks specifically, not meals). As someone stated earlier, WDW is the most popular tourist destination in the world, and I think some lose sight that it is still a business. They complain now that the park is crowded, but can you imagine if admission was, say, $60? It would be at full capacity every day and you wouldn’t be able to move. That cost eliminates guests and makes it more enjoyable. Sure, WDW and DLR, used to have a different “feel” so to speak behind it in its early days. But as travel has increased, even with a lot of changes, due to the popularity that’s not going to ever happen anymore. They’re accommodating how they can, and yes, that’s going to include making revenue. Disney is a luxury not a privilege. That was off topic. Thank you for the update! I’m a DLR sided person, so I’m assuming we’ll get similar increases coming our way soon. Hi Kenny! It’s really sad that the Disney bosses think that they can charge so much for food that costs A LOT less out of the parks. Their greed has no limits! But, unfortunately there’s nothing that we can do about it except not going to Disney… Which I am not willing to do. Bring most of your snacks with you! How are there prices any different than if you went to a sporting event? Or a movie theater? Or an airport? or any other theme park? It’s premium for convenience of purchased optional snack (not meals, snack) food in a closed area. Disney isn’t the only company or industry that does this. Issue is that they raised prices 10-20% in a single day and that you don’t spend 7 days at a theater or sport event. We love Disney but we are now staying off property and are going to do less meals on property and are bringing all our drinks and snacks in a backpack cooler. I will not be paying those ridiculous prices. Disney is getting waaay too greedy. They have doubled in price over the last 8 years and their hotel rooms are super tiny and not comfy at all . No thank you..we will stay in an amazing house with a pool and spa that is 4 minutes from the park and we dont have to deal with busses that are late all the time. Yeah 40.00 for mickeybars for our family? Umm think not. It’s sad that they are over pricing food and tickets. We are from a different country and our exchange rate is not strong against the dollar. This means that they are making it unaffordable to travel to Disney. This will be our first time going but at this rate our last.. I was reading biography of Walt Disney and he always said that Disneyland/world should not be about making money but the experience, so its sad that they have lost Walt’s vision. It’s about the raise. This article and others on site have explained it. There is a price to pay for Disney’s magic. Plan accordingly. Yes and sadly it is losing it’s magic more and more. Wow well now the DDP will go up too….Would have been a better value this week. 7 bucks for a pretzel tho? Nope. Next trip we are only eating in the parks like 4 times. Most are missing the fact that this is the most popular travel vacation destination in THE WORLD. People coming from overseas are a captive audience. I definitely agree with this. It’s the most popular destination, so they have to set things at what they are. What people most forget is that this theme park they all love is still a business and industry. No one is knocking down the doors and angry ranting on the internet about movie theater prices–they just don’t go. Disney is a luxury, not a privilege. Will the Mickey Pretzel still be a snack credit with price increase? Any pictures aside from the one in the article? Everyone had to see this coming. It was either going to be increased food prices, ticket prices, or both. Disney wasn’t going to eat those pay increases. They are a for-profit, publicly traded company and the CEO has some serious incentives coming if they hit certain revenue targets. Thank you again Disney. I stopped buying Mickey Ears bars when they went up to $5.00 each. Now there is zero temptation to purchase any of these snacks and continue bringing my snacks & some food with me. Glad I get free water to drink. And we don’t get that many snacks when we are there. We leave property to do most of our eating. I wonder sometimes if these price increases are a way to reduce the crowding. If you increase your prices and reduce the attendance, you can result in the same net income and reduce your own expenses in the process. So I have thought for a while that Disney is trying to reduce the attendance. I most definitely agree I think that’s what they’re doing. The less guests, the more enjoyable the park is. I’d rather pay a little more for less people there. If tickets were cheap, it would be PACKEDDD every day. Like Christmas crowd packed. $5 for OJ, crazy. Glad we bring most of our food in to the Parks with us. Agreed. It will be a sad day when we are not allowed to bring in our own food.